Ole Lofsnaes is Associate Director at the Federation of Norwegian Industries. Guarantees of origin (GOs) were introduced in the first renewable directive with the commendable intention of accelerating renewable power generation in Europe. 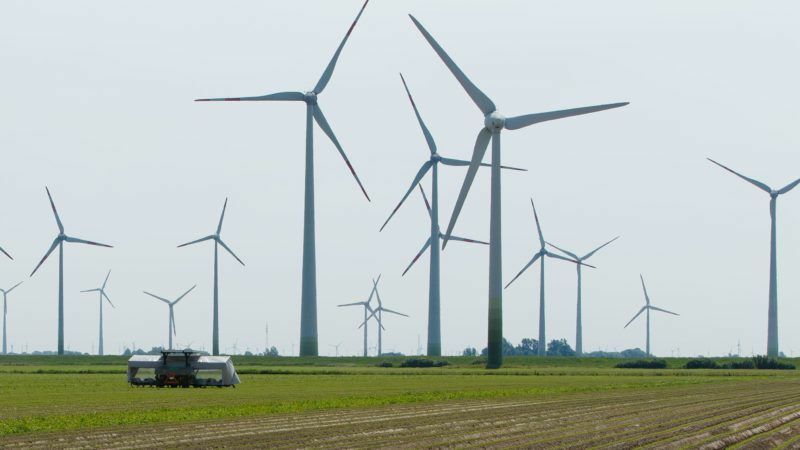 With the second renewable directive, mandatory RES support such as feed-ins and green certificates assumed the role as policy tools to drive renewable generation investments. For GOs to still have a place in energy legislation, they had to be branded as something else: a tracking tool – a considerably more complex commodity with a much weaker link to RES promotion. GOs are financial documents used by energy suppliers and consumers as documentation that the electricity they sell/use comes from renewable sources. If you want your energy use to be 100% renewable, you simply choose an energy supplier that offers GOs alongside energy sales. Easy. Except it isn’t. There is no link between physical electricity and GOs. An energy supplier offering 100% renewable electricity can simply buy GOs on the market to prove it, but the actual electricity delivered will still come from the power plants in the country the consumer lives in. If these power plants run on coal, the consumer will end up with coal-fired power, GOs or not. Sellers of GOs agree that this may be correct, but it is irrelevant since electrons anyway cannot be traced. Their argument is that when you buy GOs, a corresponding amount of renewable electricity is produced somewhere else in Europe, and that by buying GOs you are “reserving” that power for yourself. They also claim that by purchasing GOs, consumers are making important contributions to new renewable generation being built. These claims range from over-simplified to outright wrong. Let’s take a closer look at them. First of all, electrons can be traced. We know exactly how much power flows on grids within and across countries. Take Iceland for example. We know that Iceland has no grid connection to mainland Europe, but Icelandic GOs can still be purchased in Germany, Netherlands, Austria etc. Hopefully, no consumers on the mainland are under the impression that they are actually consuming Icelandic power. Second, GOs make no difference on renewable generation. Renewable power generation has zero opportunity costs, they produce when the energy is available. GOs will not affect this. Third, GOs are issued to all sorts of renewable power generation, both “old” and “new”, and it is difficult for consumers to distinguish which are which. Since most GOs come from old renewable facilities, consumers are handing most of their money to plants that have been operational for several years. And GOs do not contribute to new renewable generation being built. Yet the problems with GOs are more far-reaching than this. The biggest problem is perhaps that of greenwashing: GOs are a relatively low-cost tool that enables power from fossil-fired plants to be disguised as green. Conversely, actual green power is disguised as fossil. This means that consumers that actually use renewable electricity appear, on paper, to be contributing to higher emissions than consumers that use fossil-based electricity. In summing this up, GOs are a complex product misrepresented to consumers that slow down the transition towards a fully renewable-powered Europe. There is therefore growing recognition that the GO system needs an overhaul. The Centre for European Policy Studies (CEPS) recently published a paper entitled “Does the EU renewable energy sector still need a guarantees of origin market?“. This is an important, and overdue, question. It is encouraging that it is being pursued in a seminar with the same title in Brussels on 27 September. The renewable directive is subject to change as part of the European Clean Energy Package. The currently proposed text looks to formalise, but not rectify the GO system. We believe rectification is necessary. GOs can become into a meaningful instrument, but not in their current form.